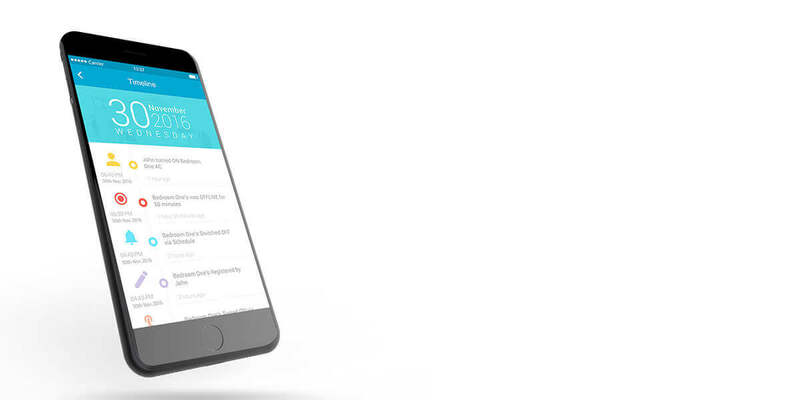 Breez lets you control your ACs & Heat Pumps from anywhere through your Smartphone. 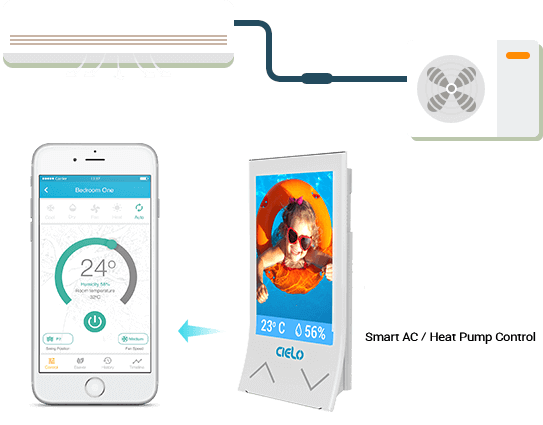 The Cielo Breez Smart Controller for ACs & Heat Pumps makes every ductless split Air-Conditioner & Heat Pump smart. Breez lets you control your Air-Conditioners and Heat Pumps through smartphone from anywhere in the world. On top of that, you can save up to 20% on energy bills. Comprehensive usage statistics keep you informed about your consumption patterns. Breez comes with a personalized display screen where you can display pictures to enhance your home décor. Breez provides a powerful scheduling functionality where you can schedule your ACs / Heat Pumps as per desired settings and time. You can save up to 20% on your energy bills by using Cielo’s intelligent machine learning and predictive energy saving algorithms. Breez provides complete usage audit of your connected ACs / Heat Pumps on Cielo Home App keeping you aware of your usage behaviors and helps you achieve your saving goals. 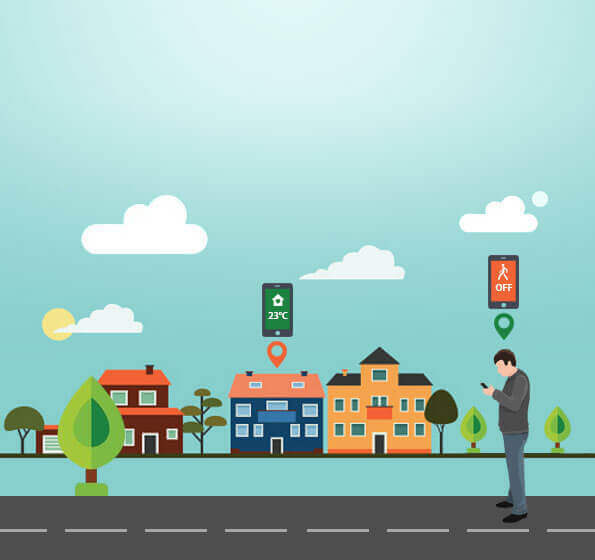 Location sensing feature helps to trigger AC / Heat Pump functions based on your location. A certain range (for example 2km) can be set as a geo-fence. Entering and exiting the geo-fence will trigger AC / Heat Pump functions as specified. Breez learns outside environment to control your AC / Heat Pump automatically in relation to environment, your heating / cooling preferences and optimal efficiency of connected appliance. 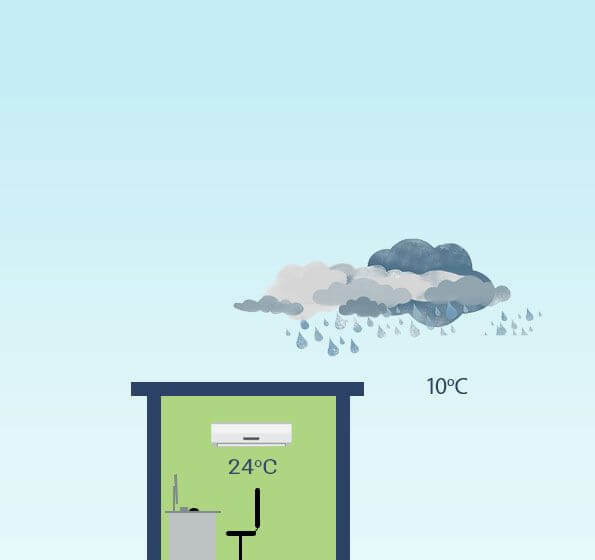 Suppose your Heat Pump is set on 20 degrees Celsius and it starts raining outside and temperature falls. Breez will automatically adjust the temperature accordingly. Heat Pump automatically turned ON. Temperature adjusted automatically through Weather Integration Algorithm. Heat Pump Turned OFF through Scheduling. Breez's intelligent Location Sensing functionality will sense your location and pre-warm your home when you are about to arrive. A comfortable environment to welcome you home. Schedule your Heat Pump to provide you a comfortable environment during sleep. Create a perfect sleep environment. Snowy weather outside. 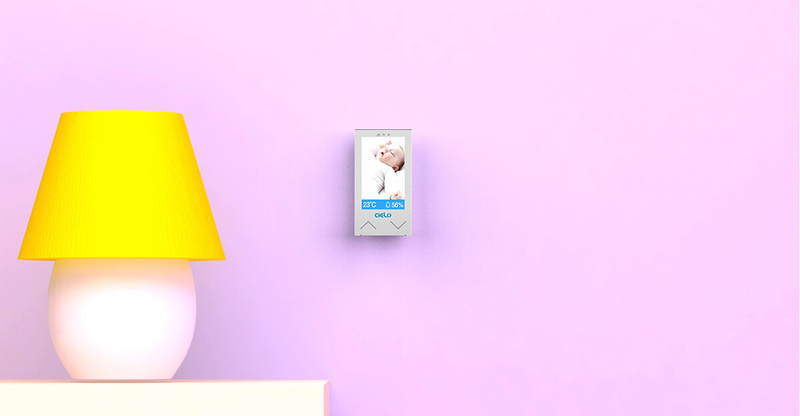 Breez senses the weather and adjusts the temperature automatically. Regardless of the weather outside, home environment is always cozy. Heat pump automatically turns off through scheduling to help you wake-up in morning and save energy. 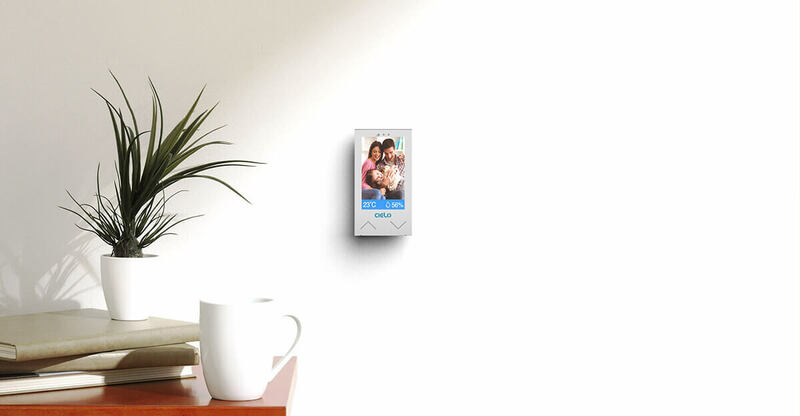 Breez has a large display where you can share your happy, memorable and fondest moments by uploading pictures. It is tailored to enhance your home décor. Display your happy moments with Breez. 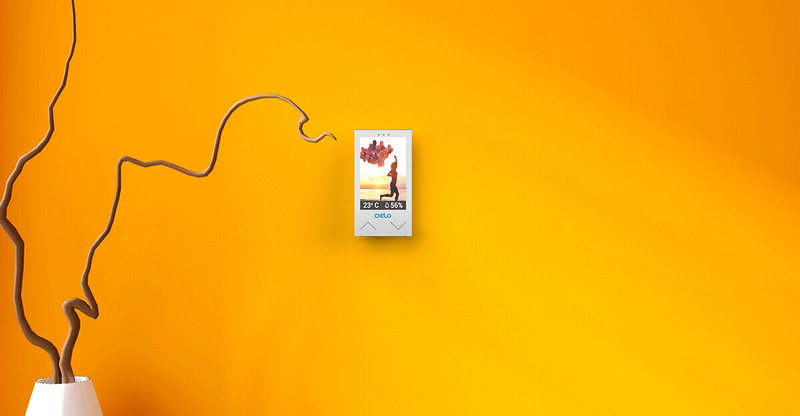 Breez is beautiful and creates a perfect environment for you. It’s time to enjoy Cielo Home App rather than worrying about your utility bills. Cielo home app gives you unlimited controls and detailed statistics of your AC / Heat Pump usage. It shows a timeline of actions performed on all connected appliances and helps you save money.